Celebrity performers Tony Labrusca, Mccoy de Leon, Boyband PH and Vivo hosts Verniece Enciso and Nikko Ramos pose for a perfect selfie using the newly launched V5s, which boasts of superb camera features and selfie tools. Bringing fun and entertainment to an already pumped up crowd, some of the brightest and most promising names in the entertainment industry today graced the much-awaited launch of the newest “perfect selfie” phone of top five global premium brand1 Vivo, the V5s, at SM City North Edsa Annex last May 19. Actor-model Tony Labrusca, Hashtag dancer Mccoy de Leon, and much talked about male singing group Boyband PH entertained a crowd of mall goers and selfie lovers as they hit the stage for their special performances. 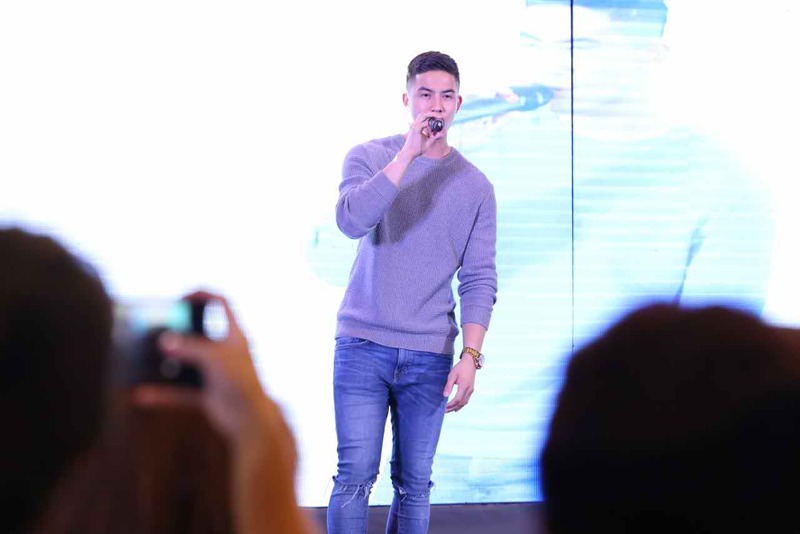 Labrusca and Boyband PH serenaded fans with their vocal prowess, while de Leon showed off his slick dance moves as they all await the big reveal of the V5s. 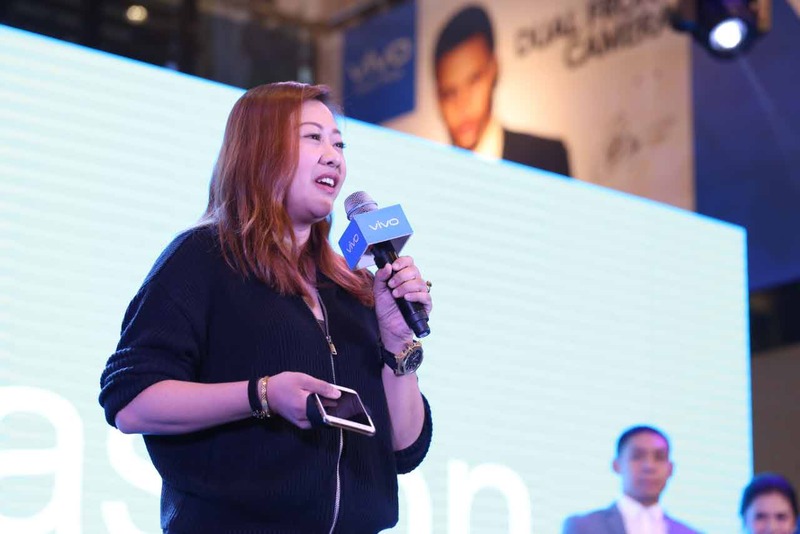 Vivo brings together selfie lovers, bloggers, key personalities, and special performers for the big reveal of the newest perfect selfie V5s smartphone at SM North Edsa Annex last May 19. Pinoy Boyband Superstar’s Fil-French singing sensation James Cesena, The Voice Philippines grand finalist Jem Cubil, and the revamped and all-improved 1:43 boyband were also present during the event. 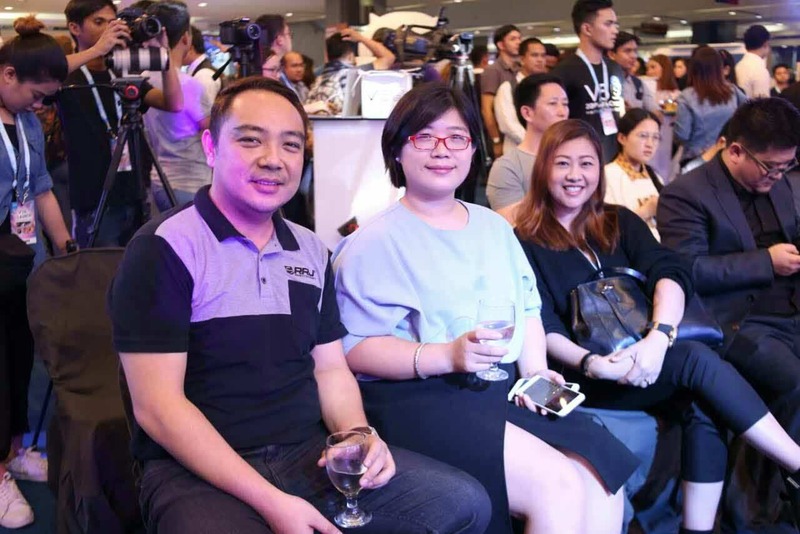 Personalities from the tech and lifestyle industry, including blogger Verniece Enciso and Vivo executives, also graced the much awaited launch. 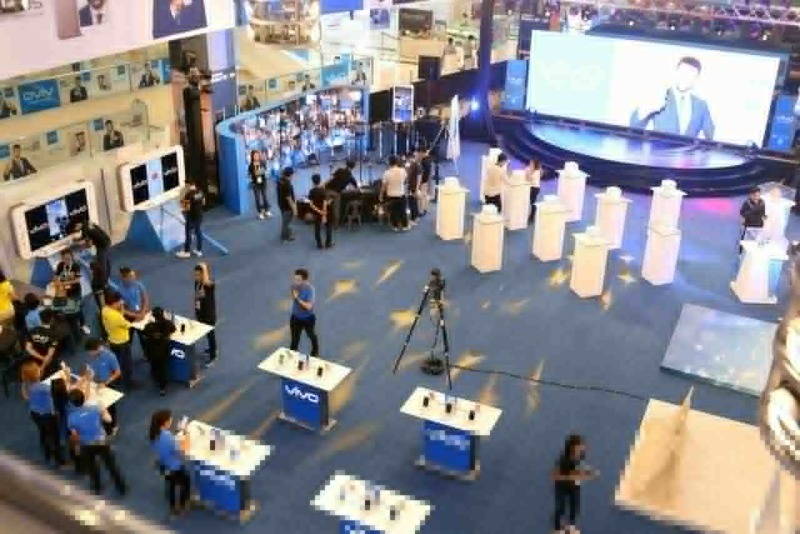 Selfie lovers and fans got a chance to interact and capture perfect selfies with the guests and performers, while lucky winners also brought home two V5s units and other merchandise in a special raffle. “This is the perfect phone that selfie lovers like me are surely waiting for. With V5s’ superb camera specs, there is no need for too much editing on your radiant and natural-looking selfies. 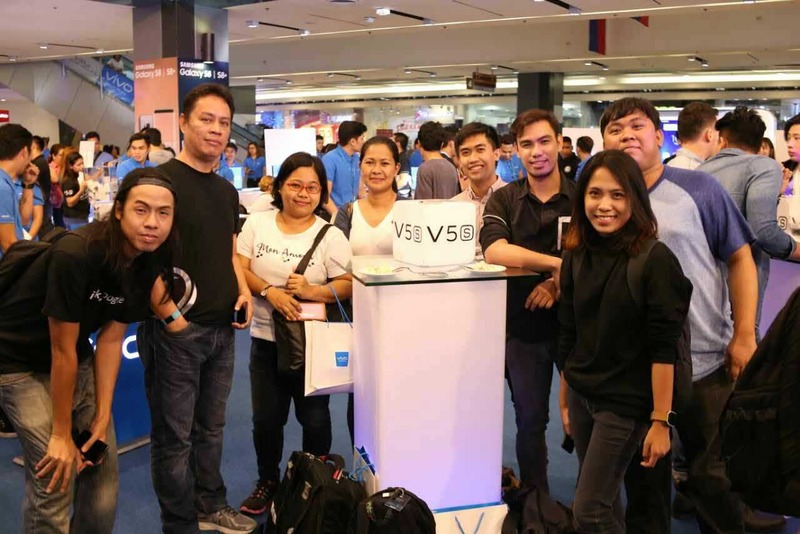 What makes V5s more exciting is the newest groufie technology feature that allows panoramic group selfies,” said Labrusca. “The warm welcome and overwhelming support that we got here in this big launch just shows that the Philippine smartphone market is very much ready to embrace an improved perfect selfie phone like V5s, which is very much ahead of its competitors in of quality and affordability,” added De Leon. Vivo fans, mall goers, selfie enthusiasts, and personalities from the tech industry gather at SM City North Edsa to get a first look of the talked about V5s phone last May 19. 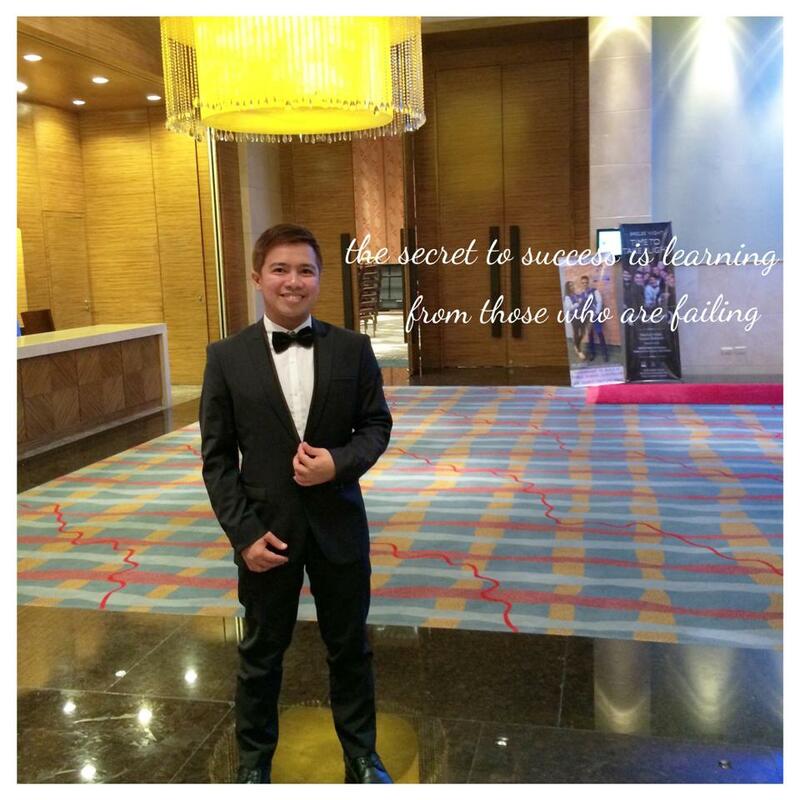 Actor model Tony Labsrusca gets a warm welcome from fans and mall goers as he graces the much awaited launch of the Vivo's newest perfect selfie phone, the V5s, at SM North Edsa last May 19. 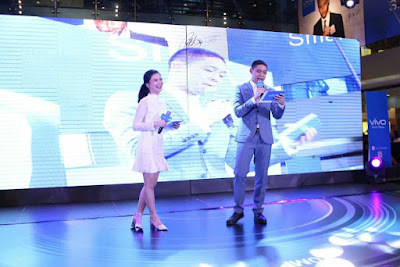 During the big reveal, Vivo introduced to prospective buyers the newest member of the ‘perfect selfie’ V5 line and why this ‘next big thing’ in the market is definitely wort the wait, as it seeks to expand its reach in the selfie-centric market. Equipped with a 20-megapixel front camera with f2.0 aperture, the V5s gives selfie lovers a crystal clear, high-resolution selfies, wherein all the details are astonishingly visible. This is complemented by a 13-megapixel rear camera with f2.2 aperture and an ultra-high-definition mode that renders stunning ultra HD images of up to 52 megapixels. 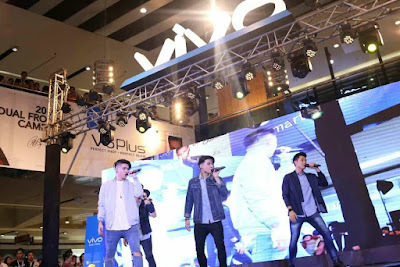 BoybandPH charms and entertains fans and selfie lovers while awaiting the big reveal of the newest perfect selfie phone in the V5 line, the V5s. 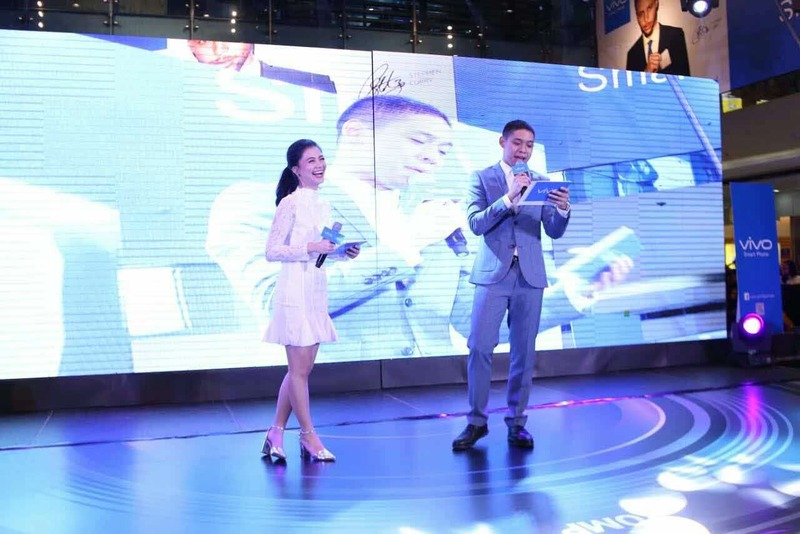 As proof of the new technology’s efficiency, Tony, Mccoy, Boyband PH, Verniece, Nikko, and Vivo brand director Annie Lim did not miss the chance to take a group selfie with the crowd at the SM North Edsa launch, and the result was a perfectly captured ‘groufie’ with no one being left out of the photo. 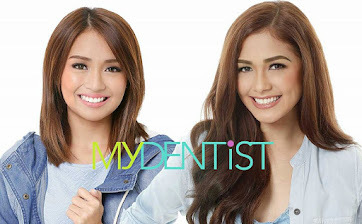 It also features a selfie softlight technology that creates lighting effects similar to those in a professional photography studio. Offered by other V5 models but updated for the V5s, the selfie softlight has an enhanced night mode for clearer and more fabulous selfies taken at night or in poor lighting conditions. Other remarkable features of the V5s include its face beauty mode 6.0, which works like a skincare tool that automatically detects your gender and applies beauty touches accordingly; an App Clone allows users to log on to two different accounts using the same social media app; a smart split 2.0 that enables the V5s to keep two tasks on screen at the same time; an eye protection mode that makes the screen light softer; and a 0.2 fingerprint unlocking. The Vivo V5s is now available in stores nationwide, for just P14,990. 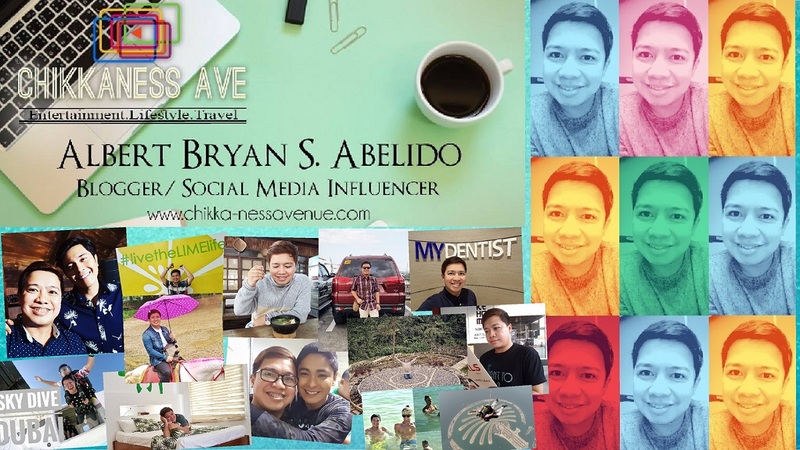 For inquiries about Vivo V5s, visit the Vivo website at vivoglobal.ph, or check out their Facebook (https://www.facebook.com/VivoPhil), Instagram (https://www.instagram.com/vivophil/) and Twitter (https://twitter.com/vivo_phil) accounts.